Shortly before the birth of Little Miss E I was asked if I would like to review the new Fitbug Air. To be honest I thought it was just a simple pedometer but I figured, post birth and mahoosive with baby-weight, anything that may encourage me to exercise a bit HAD to be a good thing. Last week, five weeks post baby, I decided that it was time to get off my now-rather-large-bottom, throw away the Dairy Milks, and give it a go. 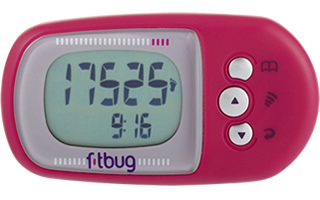 The Fitbug Air looks just like a small pedometer which clips easily to your waistband. Looks, however are deceiving. This thing does so much more than that. Once synced with your phone it relays your activity, and the number of calories you are burning, via bluetooth to a handy little app. You can then easily monitor your progress on your phone throughout the day. 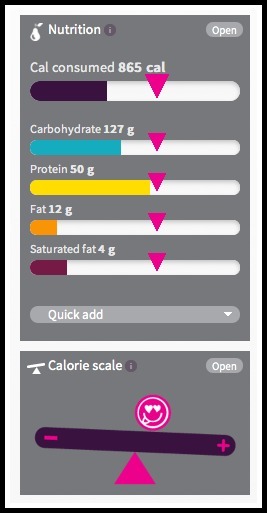 You can also input your calories consumed manually yourself or sync with another app, my fitness pal, which is a super easy way to monitor your food and drink consumption. 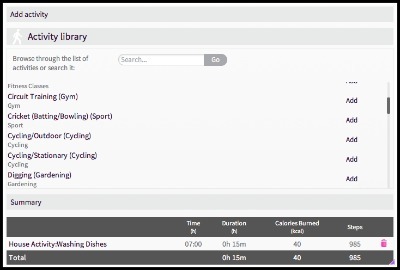 As well as recording your steps you can also record other activties via the website such as household activities like vacuuming and gardening. 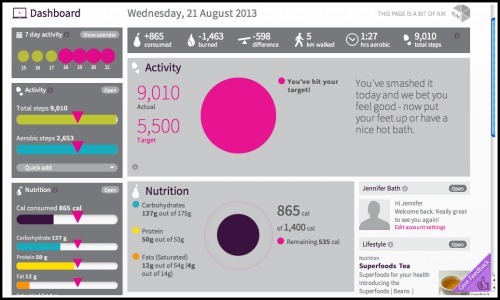 The really amazing thing though is that all of this is monitored by your very own personal coach. At the start you will be asked to input your goals e.g., weight-loss, fitness etc along with a few vital statistics such as height and weight. For the first week your Fitbug coach asks you to simply wear the device during your normal routine. From this they will then assess a healthy way for you to gradually achieve your goals and send you some targets for the following week. These targets will consist of a target number of total steps per day, aerobic steps per day along with a recommended daily calorie intake. For competitive folk like me this is just awesome. Set me a target and I will go out of my way to beat it and IT IS WORKING. Today I abandoned the lure of the local coffee shop and instead wheeled Little Miss E for a super long walk around the park instead. …whoop! I SMASHED IT! Ok, so it is not a lot of steps but based on my five weeks of complete inactivity it is 9010 steps in the right direction right? So, I will be blogging my progress with the Fitbug Air and this fat girl might just walk her way right on back to slim again. Disclosure: No payment was received for this posts however I was sent the Fitbug Air and provided with online subscription free of charge for the purpose of review. It’s cute, healthy, AND fashionable. A perfect fit for any mother called Jennifer.